Gotta love a good cheesboard! As a kid you’re told not to play with your food and eat up! Now as an adult in the early part of the 21st Century I’m finding more reasons to start playing with my food all over again. I love sushi; where I can play at watching little coloured bowls tour the restaurant. I love Thai and Vietnamese dishes; where I can at putting all the main courses in the middle of the table and mix and match. I love tapas; where I can play at snacking as a main course. 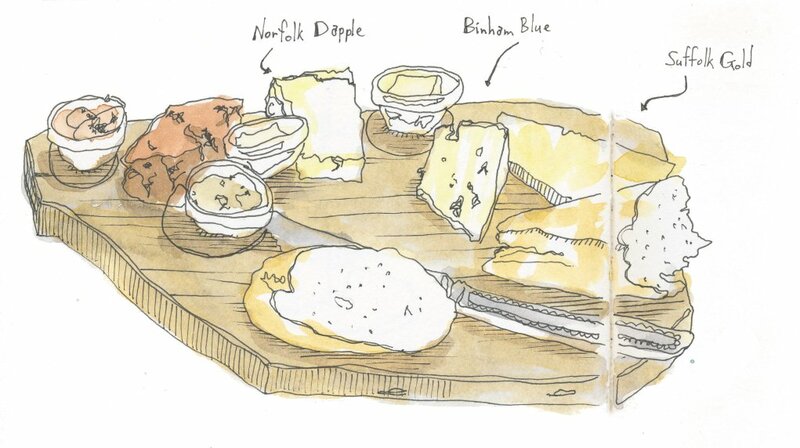 I love the cheeseboard; where I can try different combinations and vary flavours. Cheeses, salad, chutneys, hams and pies, pate. Viva la playing with my food.